Mr. Allen grew up in Kansas, and received his B.A. from Dana College in Nebraska. He later graduated from the University of Southern California Physician Assistant Program in Los Angeles. He has been board certified as a Primary Care Physician Assistant since 1984. He has over 30 years’ experience in Family Practice and enjoys the practice of medicine and his relationship with patients more every year. 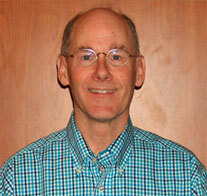 Mr. Allen enjoys the natural beauty of North Carolina and likes to camp and hike with his family. He also enjoys gardening and playing golf. He is married and has three sons.